Lindsey Vonn is planning to compete in her last race on Sunday, ending a ski career in which she has made herself one of the greatest athletes of all time. The Associated Press has covered her exploits, from the Olympics to the world championships to the annual World Cup circuit, from the beginning. United States’ Lindsey Vonn gets to the finish area during Friday’s downhill portion of the women’s combined at the alpine ski World Championships in Are, Sweden. ARE, Sweden – Anyone expecting Lindsey Vonn to take it easy in her last race should think again. Doesn’t matter if she’s still banged up from a crash with a black eye, a sore rib – not to mention the pain in both of her knees that forced her to move up her retirement. It will be a fitting way to go out for the record-setting skier in Sunday’s downhill at the world championships. Norwegian great Aksel Lund Svindal set the stage for Vonn by winning the silver medal in the men’s downhill Saturday in his last race. 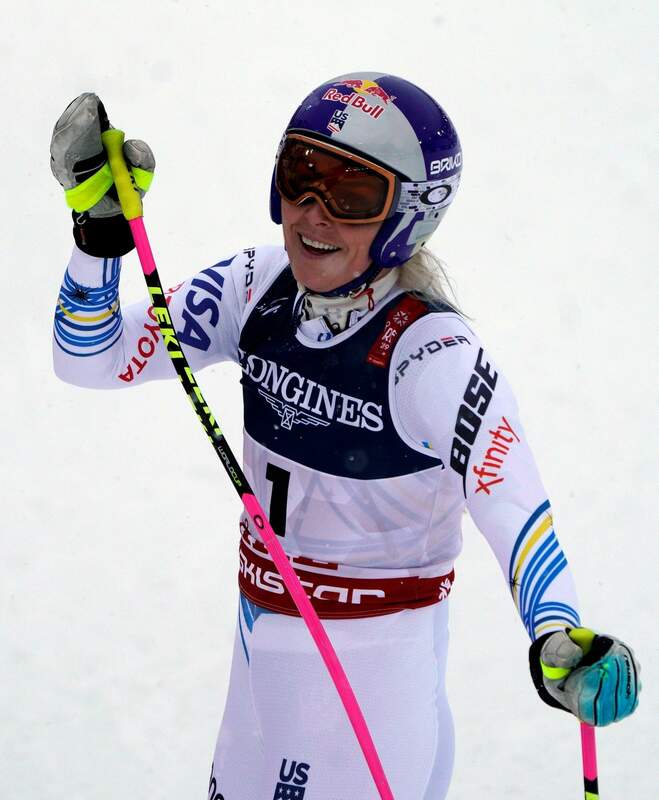 Vonn’s 82 wins are the most all time by a female skier and trail only the 86 won by Swedish great Ingemark Stenmark. To honor Stenmark, Vonn will wear a race suit featuring the colors of the Swedish flag, blue and yellow. Along with Vonn’s dad, two of her siblings and one of her best friends, Stenmark will also be in attendance. As the 34-year-old Vonn performed interviews following downhill training Friday, a U.S. team member helped keep her muscles from tightening up with an cordless electrical vibration massage device. She’s still recovering from her crash in super-G on Tuesday. 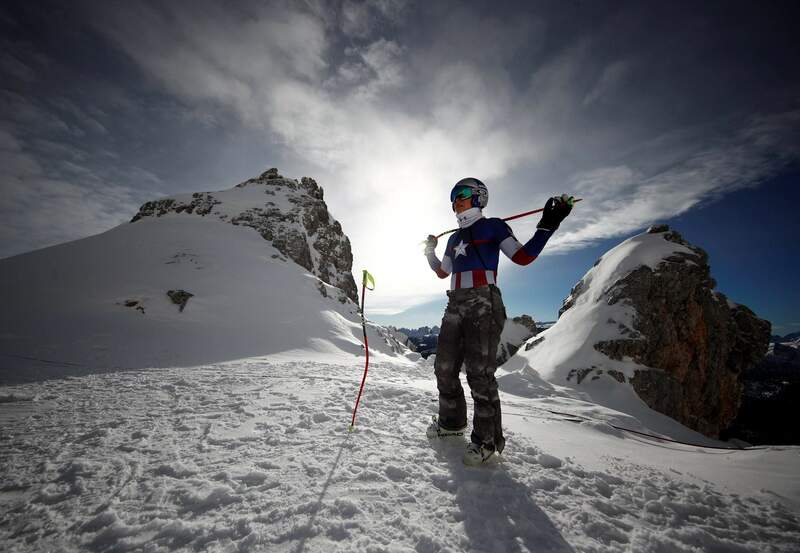 The downhill is scheduled to start at 12:30 p.m. local time (1130 GMT) and Vonn will be the third skier on course. A medal would bring Vonn full circle: Her two silvers at the 2007 worlds in Are were the first major championship successes of her career. She also won the downhill in Are at last year’s World Cup finals. Afterward, it will be time to celebrate.